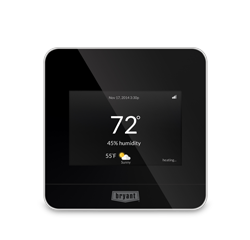 This thermostat is about more than giving you remote access, it's about helping you save money on energy through advances in programming design, smart recovery and energy use reporting. You can see when you're spending the most on energy and tailor your settings to save. 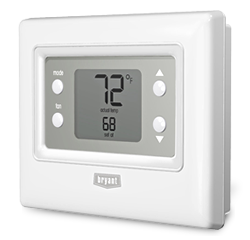 And, when you're not home, this thermostat will work to heat or cool the most efficient way possible for your system type and brand. 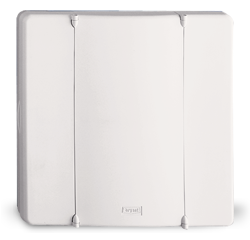 The Evolution Connex control puts comfort control at your fingertips. Capable of managing a complete home comfort system including humidity, ventilation and zoning, it is also the brains behind Bryant's highest-efficiency Evolution products. 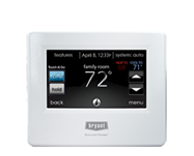 Its user-friendly, touch-screen design is packed with intelligent, energy-management features. 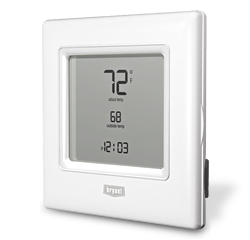 At just over an inch in depth, the Legacy Non-Programmable Thermostat adds a simple but attractive look to your home. And because you'll find it so simple to use, your family's comfort is only a button click away. 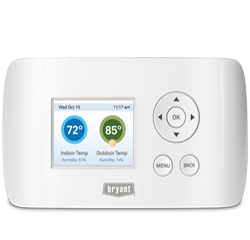 Three simple buttons — home, away or sleep — tell your thermostat where you'll be, and provide the best in energy savings throughout the day. And at just under 9/10ths of an inch deep, it looks fantastic in any room. The Bryant® Preferred Programmable thermostats offer an attractive, slim design to enhance any room. Programming is a snap — you can plug the optional ExP® memory card into your computer's USB port, or open the face and use the easy-to-understand buttons.